Introduction [Voice-over]: Paula Scher is one of the champions of graphic design, her work is featured everywhere- from storefronts to web-pages, beaches and billboards. Paula Scher began her career in the early 70s, designing record covers that featured original blends of illustrations and contrasting types. 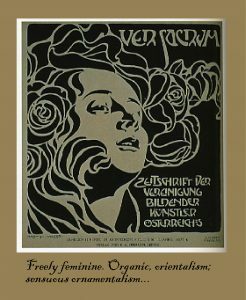 Her unique style would become the precedent of commercial design for decades. Paula Scher’s clients include Microsoft, Tiffany & Co. Bloomberg, Perry Ellis, the Metropolitan Opera and several other highly-regarded companies and institutions that have been well-represented by her graphic designs. In this interview, Andrew Cyrus, a student at OCAD University, probes the great mind of Paula Scher, revealing the quirks and cranks that allowed Paula to reach success and keep her status as a balanced, well-rounded designer. A: Just to start and get a little warmed up, can you tell us a bit about your background as an artist and how you started your journey towards becoming a famed graphic designer? P: I attended the Tyler School of Arts studying Illustration, and it was during that time I fell in love with typography. I had been inspired as an artist by the way contemporary culture was expressed visually; Zig-Zag rolling papers, Zap comix. It was a natural attraction that started when I was very young- I had a very high IQ in quantitative reasoning, and back then my parents thought it meant I was going to excel in maths; but they were wrong. The ability to synthesize a lot of information to come to a sensible conclusion was a part of the formula to my artistry from a very young age. P: Well I could never sit down at a desk to design, so it’s not what everyone really thinks of when they imagine an “academic,” or “high-IQ student.” Sitting down at a desk, toiling- that would bring me nothing. I get my best ideas on the move, in taxi cabs- I’m allowing my subconscious to take over- I ‘free-associate’. I believe you have to be a state of play when designing. However, mostly what I design are identity systems; I generally want to push something as far as it can be pushed. I have this process in which- I go back to designs from 5 or so years ago and I see if I can change it. I believe a good design can be adapted to its time- because nothing is truly timeless. The Public Theatre! Now, how did you bring this life? 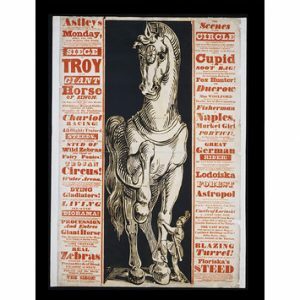 What led to the development of the graphic identity of the Public Theatre? 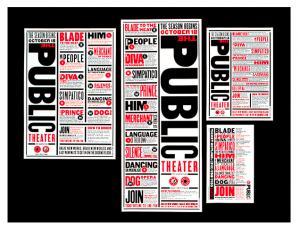 P: I created the Public Theatre identity back in 1994. Back then, they had numerous identities, and it had to have a singular, cohesive identity. Something that could represent what the Public Theatre had to offer without leaving anything out, and without leaving any-one out, either. I was looking at some American wood-type, which I admire. I think American wood-types are powerful- and I stumbled upon Rob Kelly’s, and I saw the Public Theatre. I saw the image in which the font sizes were all shrinking in its weight and I thought, I could take the word ‘Public’ and place it in the same variety of weight. It would symbolize New York, and all its different type of ‘weight’. That’s how the Public Theatre identity was born. But it wasn’t perfect; the perfect design isn’t created in one go- but it was the perfect fit. Since then, I’ve redesigned the Public Theatre logo three times and nobody even knows it. I’ve tightened it up, changed the font, moved it apart. P: Officially- twice. The first time in 2005, and then in 2008. A: What do you think it was about the Public Theatre design that made it so popular? P: It’s New York, it’s loud, it’s proud, it’s in your face. But what really put it on the map was Bring in ‘da Noise, Bring in ‘da Funk. That was in ’95. What I saw on stage was energy, the untraceable, organized chaos of tap-dancing, and I put it on paper. The type in those posters, from top to bottom, was filled with words. A: Did you come down with a case of horror vacui? P: Ha ha ha! I’ve lived with that! Yes, the term is familiar with a lot of my work, both professional and personal. It’s chaos, but it’s organized chaos. You can find a whole book full of prints with type scattered everywhere in my book MAPS. But I wouldn’t necessarily call it horror vacui. There’s an artistic element in there as well when I create that type of busy visual. 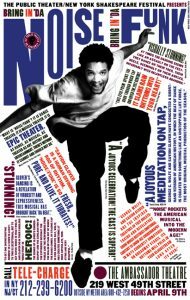 What I did with Bring in ‘da Noise, Bring in ‘da Funk was largely successful, I believe, because it was was consistent with graphic identity of the Public Theatre and it appealed to a very large audience. A: How do you feel about the inspiration and adaptation you’ve seen of your work? How would you critique your imitators? What would you say to young designers that look up to you? P: [The success of the Bring in ‘da Noise, Bring in ‘da Funk design] was awful because it was everywhere- everyone was imitating it. Yet, there’s a lesson to be learned when you observe these kinds of phenomenons. 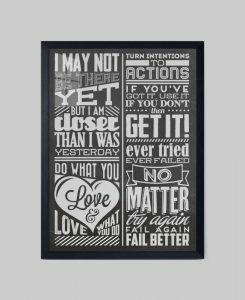 When you’re doing work as an artist or graphic designer and you make mistakes- you make discoveries because you do things that may be inappropriate or wrongheaded; but through that wrongheadedness, you find an unexpected path- and those are the true breakthroughs. When you’re doing a job, when you’re following the ‘rules’ per se, or doing as you’re expected- you don’t learn anything- because you already know the answer. Growth comes through making those mistakes. A: As a graphic designer whose career has blossomed, how do you feel you stand out in the field of graphic design? What makes graphic design different from other fields of design? P: I was given remarkable opportunity when I was younger that other emerging and working designers aren’t afforded today. By the time I was 24, I was designing hundreds of album covers per year for CBS and I was given the opportunity to produce bad work. I could fail, and with that, I could discover how to make great successes as well. Graphic design is painting with words- with symbols. Through typography, through manipulating these symbols we see every day to communicate language, it’s almost like speaking without being there. Typography can create character, because you have shape, weight and height- defining physical features; so that, even before you read something- you have sensibility and spirit. A: I’m amazed with your wisdom of graphic design, Paula. Now, if you could give any advice to the young graphic designers here at OCAD University and to those whom you’ve inspired, what would it be? Dadich, Scott, et al. Abstract: The Art of Design. Abstract: The Art of Design, Netflix, 10 Feb. 2017, www.netflix.com/title/80057883. Marano, Hara Estroff. “Paula Scher on Failure.” Psychology Today, Sussex Publishers, www.psychologytoday.com/blog/brainstorm/200905/paula-scher-failure.